NASHVILLE, Tenn. (WMOT) -- Middle Tennessee’s culinary scene is getting a lot of attention from foodies. Just one example, Stephanie Burt, host of the Southern Fork podcast says she’s recorded more episodes in Tennessee than any other spot outside her home base in South Carolina. She says Nashville is one of her favorite places to eat. The Nelson's had no experience with creating spirits, but Andy says they were inspired to give the business a try after learning that their family had been in the distillery business for generations. "We've been working on the whole thing for about eleven years, selling Belle Meade Bourbon for about five years, and operating from withing this facility for two-and-half to three years." Stephanie Burt says mid-state residents are missing out if the extent of their food adventures consists of simply making reservations. “Especially in Nashville you have all kinds of special food events, and chef nights, and testing venues, and pop ups. That’s a great way to get involved in this vibrant food culture." 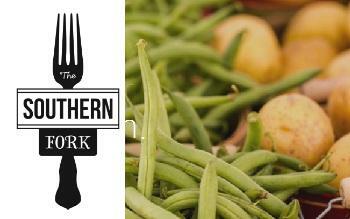 Would you like to listen to an episodes of the Southern Fork? Would you like to visit Nelson’s Green Brier Distillery?